Describe your role in the Bloomsburg Community. I am a lifelong resident of Bloomsburg and a local business owner. I help my family run a commercial real-estate business and our business has been part of the Bloomsburg community for over 40 years. How long have you served on the Y Board? I just started my term of the board of directors in January 2018, but had helped on the planning and grounds committee the previous year. In which YMCA events or programs have you been a participant? I love attending spin class and using the weight room. I also take part in the Y’s personal training program. Stella loves her tumble baby classes and hanging out with the child watch team when I am using the gym. I also participate in trunk or treat, our community yard sale and the Y’s annual gala. What drew you to the Bloomsburg Area YMCA? My first memories of being a part of the Y community are attending kiddie camp every summer and swimming for BAY every winter. I really enjoyed all of these activities as a child and now as an adult I have a family membership with my husband Brian and daughter Stella. What purpose do you feel the Y serves in our community? I feel like the Y is an important part of the infrastructure of the Bloomsburg community. It is a gathering place that brings people together to learn, grow and thrive regardless of their age, ability or income. The Y literally has something for everyone. Programs for our youth like pre-school, swim, dance, gymnastics and little dribblers are just a few. We even have great programs for our seniors. 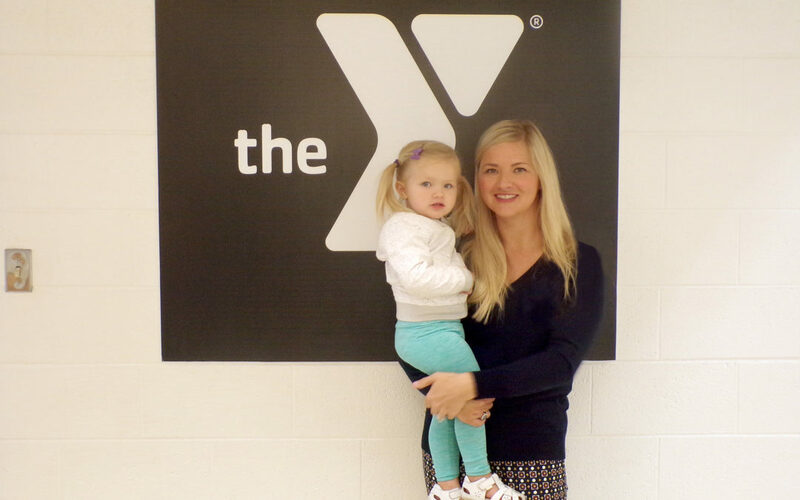 The Y helps to keep everyone in the community healthy, active and engaged!